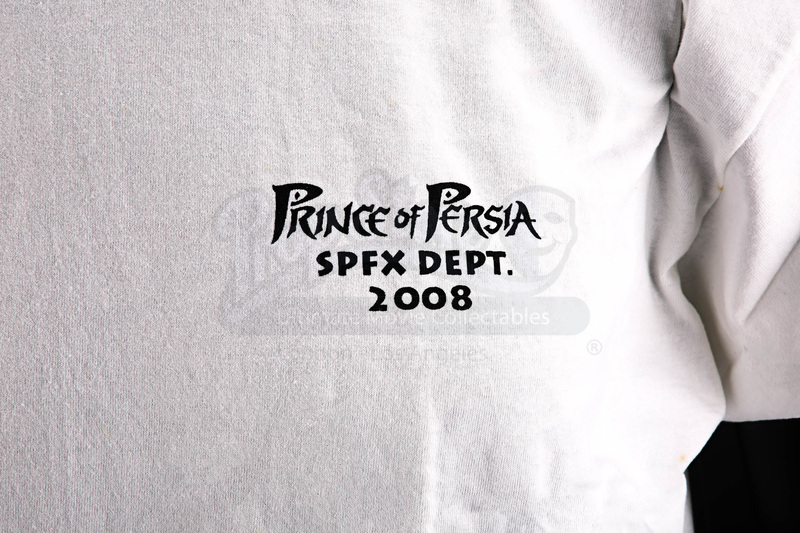 A crew t-shirt from the production of Mike Newell’s 2010 fantasy action film, Prince of Persia: The Sands of Time. 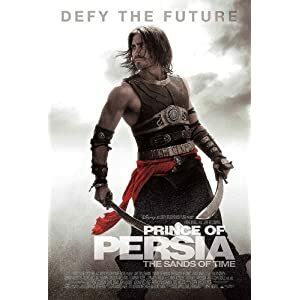 Prince Dastan (Jake Gyllenhaal) and Princess Tamina (Gemma Arteton) must stop a villain from unknowingly destroying the world with a special dagger that can reversed time. 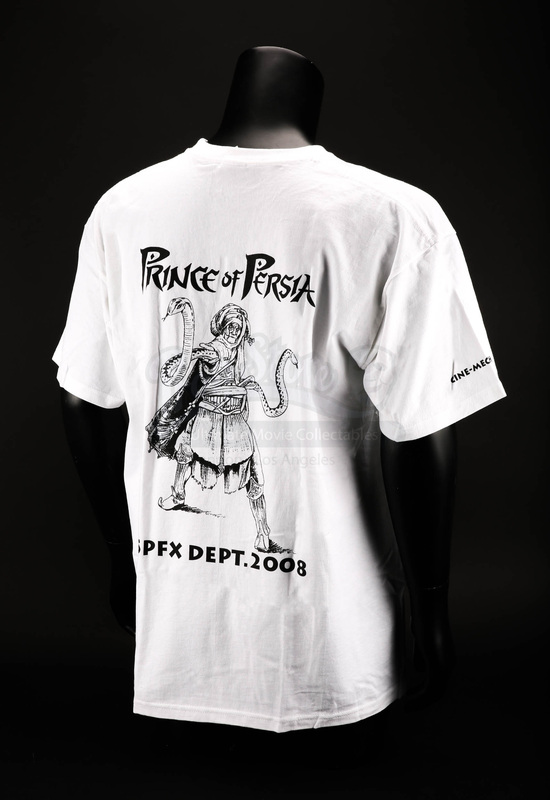 T-shirts such as this one were made for the crew who worked on the production. 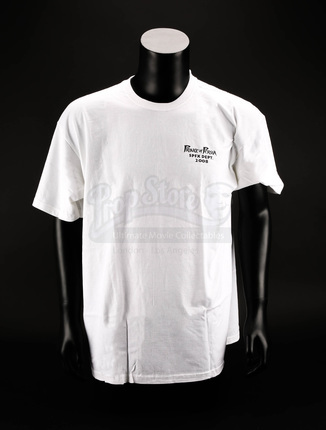 This specific shirt was made for the SPFX Department, as noted in the printed text on the left breast underneath the film title. The back of the shirt has the title and ‘SPFC Dept. 2008’ printed, but also a black picture of a desert warrior holding two snakes. 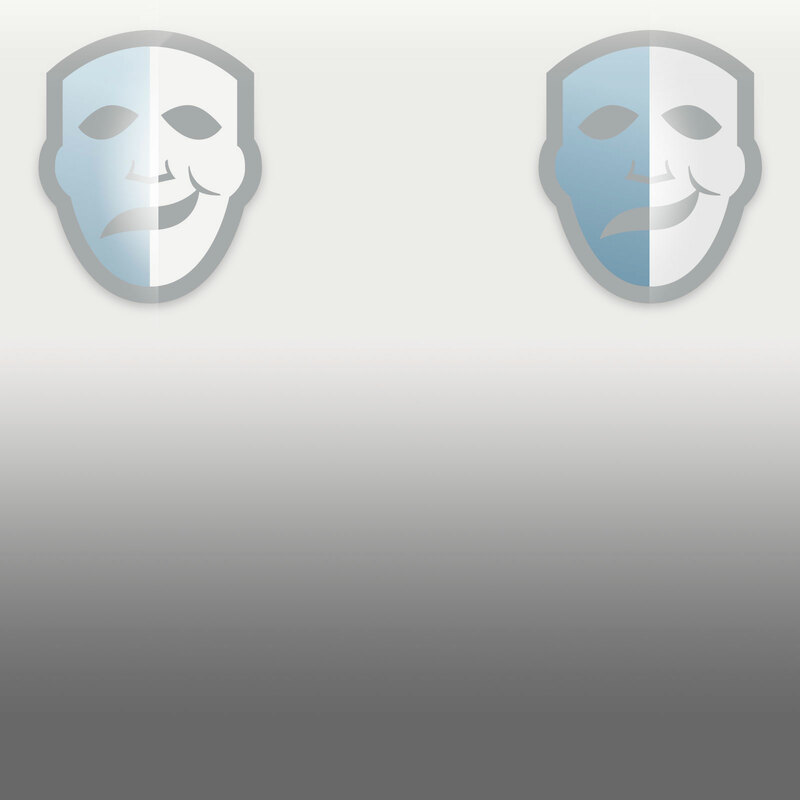 ‘Cine-Mech’ is printed on the right sleeve and ‘Interactive SPFX Ltd.’ on the left. The t-shirt is marked ‘XL’ and remains in an excellent, unworn condition.